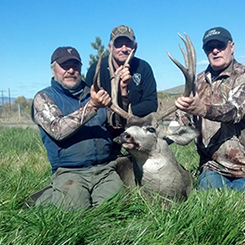 Make the most of your mule deer hunting experience by hitting the trails with Big Timer Outfitters LLC in Salmon, Idaho. 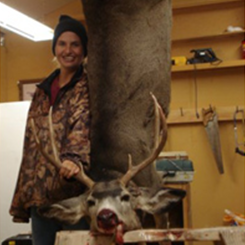 This mule deer hunt is located in Idaho hunting Unit 29 and includes prize-worthy bucks perfect for bringing home as trophies. We do the pre-scouting prior to your arrival for your hunting satisfaction. By combining our base and spike camps, Big Timber Outfitters LLC. is able to guide you to trophy backcountry mules. 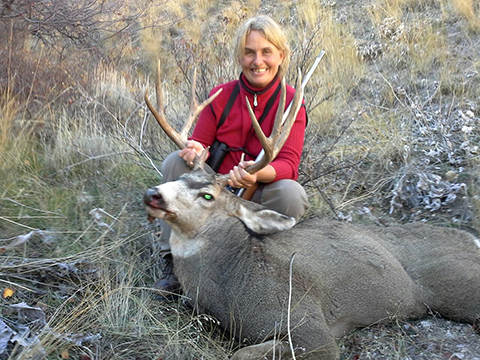 Whether on foot or horseback, our professional mule deer guides are very experienced and work hard to locate your trophy buck by selectively hunting promising areas. As always, base and spike camps include comfortable tents and home-cooked meals. Deer tags are available over the counter, so a draw is not necessary. However, be sure to purchase your tag early to ensure your ability to hunt as quantities are limited. 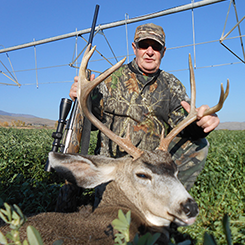 Gear up for a guided hunt unlike any other by contacting your Mule Deer hunting outfitter now at (208) 993-1688 or (208) 993-0194 in Salmon, Idaho, to discuss your trip requirements.